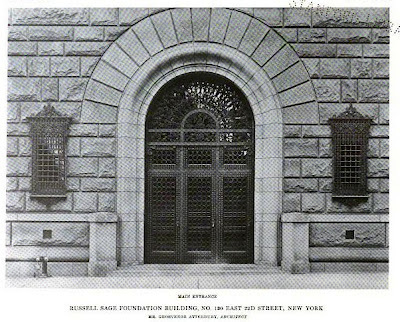 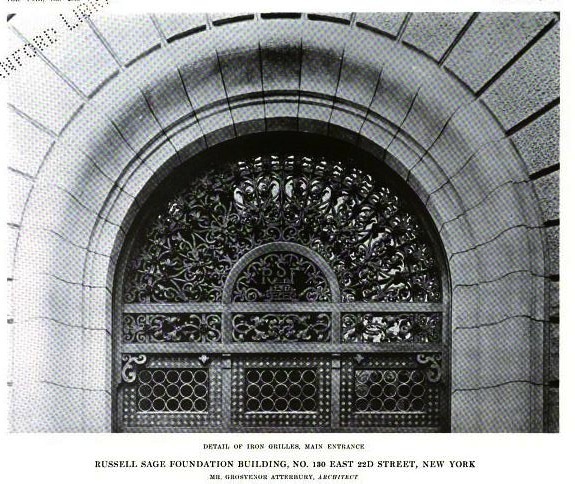 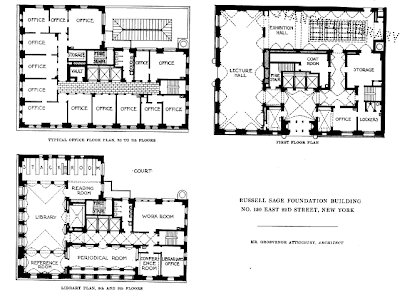 The Russell Sage Foundation Building designed by Grosvenor Atterbury c. 1912 at 130 East 22nd Street and Lexington Avenue in New York City. 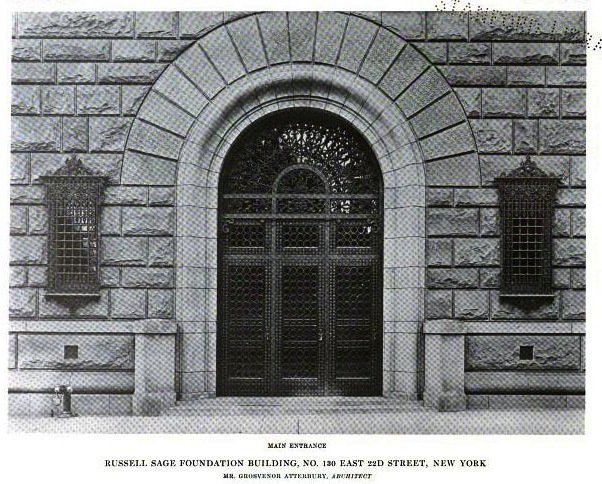 The Russell Sage Foundation funds and publishes research in the social sciences. 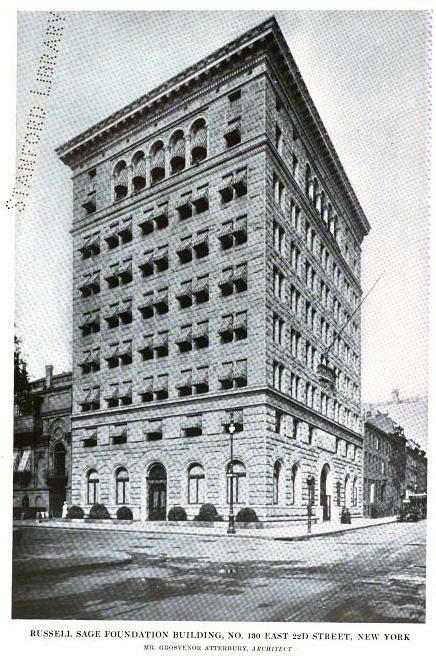 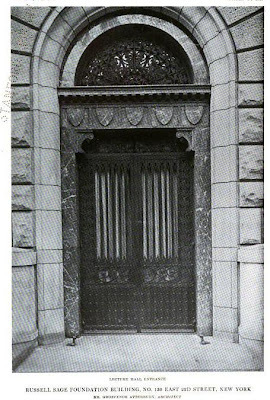 The building was altered in 1922 and Atterbury designed a fifteen story extension on East 22nd Street c. 1930. 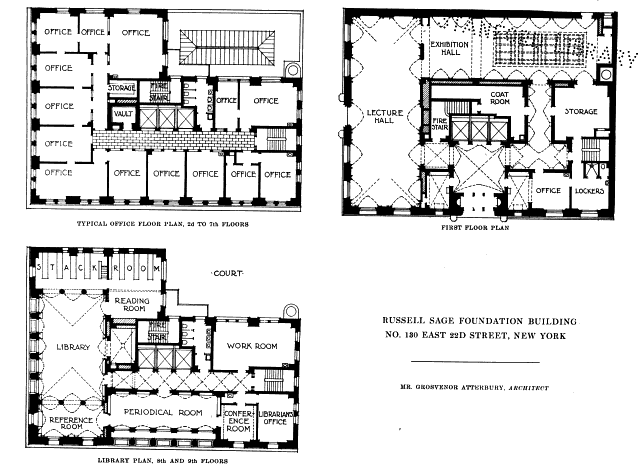 The Sage Foundation moved out in 1949 and the building currently functions as an apartment house. Click HERE to read Christopher Gray's Streetscapes column and HERE to see the building on google street view.